Physiology of Stress&Fear — Patti T.
These shut down our frontal lobe. The reptilian brain that tells our body we need to run fast. This response also creates visceral fat in the body which is around the waste which is also designed to protect us. This response is stored in the body as a memory, trauma and blockages. What used to be a necessary response back when our ancestors were running away from tigers has now become a response to our everyday stresses. For example getting stressed while working toward a deadline on our computers or driving behind the wheel of your car when you are late for an appointment, or being on a conference call as and your dog decides to start barking at the mailman, or yelling at your child to go to bed so they are prepared for a test the next day while jugging the million other tasks we tackle in our every day lives. 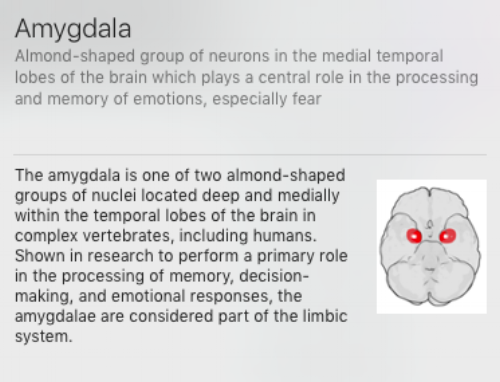 The stresses we encounter every day raise our response to fight/flight and put our Amygdala on overdrive in our modern culture. It is unrealistic to think we can live without stress nor should we try. However, it is vital to our living a healthy life that we maintain balance in our body. We need to practice healthy supportive habits. that relieve pressure, release the stress, unwind the trauma and pain, help us let go and make room for our own healing. We cannot be in touch with our intuition and healing if we are in the Fight/Flight Response. CST, Bio-sonics, Meditation, Deep Relaxation Exercises, Yoga, Sound Therapy, Hypnosis basically anything that puts us in a deep relaxation meditative state removes us from this response and allows our bodies to let go and heal.